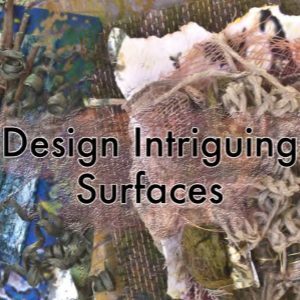 Intended to inspire and spark artist’s creativity, “Design Intriguing Surfaces” is the first ebook in a series that will combine digital printing with alternative surfaces. 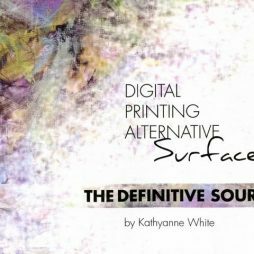 Silk, canvas, lutradur, organdy, pimatex cotton, tyvek and several types of paper are included in this ebook, to highlight surfaces that can be printed on any straight path inkjet printer. This enables the artist to work with regular non art type printers. Of course the surfaces are also wonderful when printed on archival art printers also. The techniques can be used by anyone that wants to experiment and create this type of work. “Design Intriguing Surfaces” includes precoating surface instructions, helpful hints and a complete supplier list. 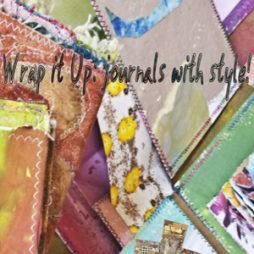 Each page is filled with visual eye candy that encompasses prints on the various surfaces discussed and also details of completed art work.